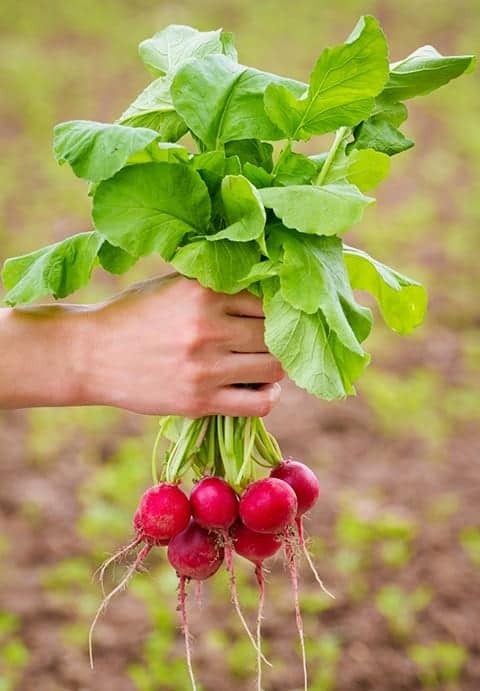 You are here: Home / Gardening / Try These 2 Ridiculously Easy Hacks For A Healthier Garden!! Ok, so gardening can be really hard for beginners. So let’s talk about the soil in your garden. Tomatoes are really popular plants especially for first time gardeners. My next hack is a classic. The first year I started gardening I remember being so frustrated that my garden wasn’t producing like I wanted it to. Gardening takes A LOT of work and patience and so it can be really frustrating for beginners when their garden isn’t doing exactly what they want it to. That’s why I’ve decided to share a gardening tip with you every single month, so that your garden can be just a little bit healthier this year! I love it when there are simple tricks I can use that can make my garden more productive! 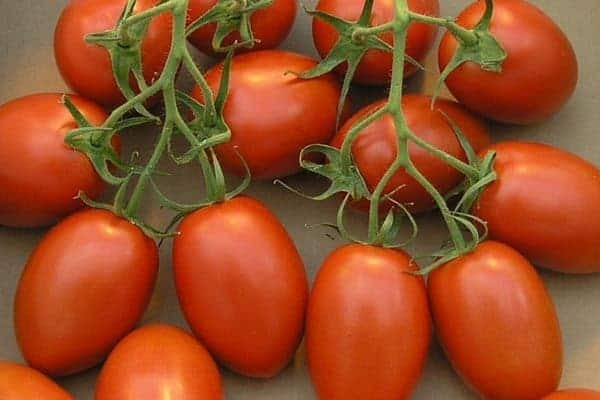 I used these simple hacks and it helped my tomatoes to grow so much healthier last year! And these simple hacks are something you can easily do at home! And I love that these hacks are cheap and DIY! Your soil is obviously very important in helping your plants grow. But you have to do more than just digging a hole and plopping your plants down inside. My first time gardening ended in disaster because I didn’t do anything to my soil to help my plants grow correctly. I didn’t know that I needed to give my plants a little bit of a head start by adding nutrients to the soil, so they could be more productive. Because who doesn’t love fresh salsa? So my hacks today are going to focus specifically on growing tomatoes, but they’re useful for other plants too! My first tips is to use ground egg shells as a natural fertilizer for your tomatoes! I love using egg shells in my soil because it’s natural, I have tons of them, and they’re a great fertilizer. Egg shells are full of calcium which is great for plants, especially plants such as tomatoes and peppers! I also have TONS of egg shells because we have around 200 chickens right now. So this hack is awesome for me! I highly recommend this hack for all chicken owners because it’s a frugal way to add nutrients to your soil! What I do is grind up my egg shells leftover from my boiled eggs (which are my favorite by the way). I normally use a mortar and pestle like this one to grind up the shells. I grind the shells because grinding the shells up helps them to decompose faster than if you just put them in the soil as is. It does take time for egg shells to decompose, so I recommend tilling your egg shells into your garden in the fall and then again in the spring! Adding egg shells to your tomato bed is a great way to give your tomatoes the nutrients in their soil that they need! 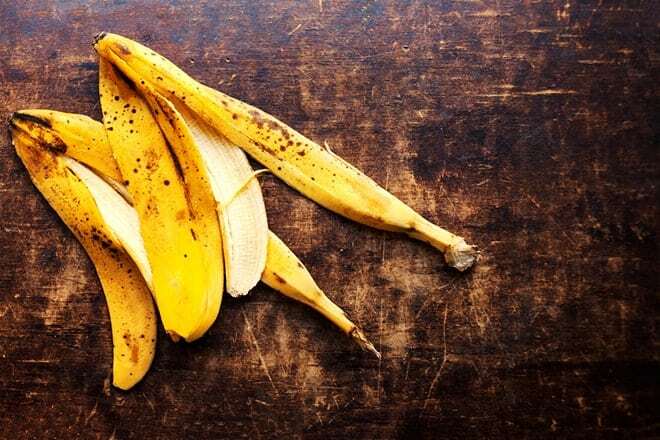 Try putting a banana peel in your soil to help your tomatoes grow! Ok, so I know this trick is pretty common for experienced gardeners, but I want to make sure all of you first time gardeners learn this hack because it’s awesome! This hack really is classic. I remember watching my grandpa carefully place banana peels in the bottom of each hole before he planted his tomatoes. And he always grew the best tomatoes, so it must work right? First off, I always buy organic bananas, especially if I’m planning on using the peels in my garden. I don’t use pesticides in my garden, so I don’t want to introduce any harmful chemicals into my garden that were on the banana peel. I would rather be safe than sorry! And at least in my area organic bananas are only a couple cents more than conventionally grown ones, so it’s worth the splurge when I’m planning on using them in my garden. So after I eat my banana, I clean off the peel with water and baking soda. I love using baking soda to clean off my vegetables because I feel like due to the grittiness of baking soda it gets off anything from the peel that is potentially harmful. Again, I would rather be safe than sorry! Next dig your hole for your tomato plant. After you finish digging your hole simply place your banana peel in the bottom of the hole and then plant your tomato on top of it! It’s so simple, but the nutrients from the banana peel will help your tomato to grow better! After using this simple hack all you need to do is sit back and relax and enjoy the yummy homemade salsa made from your delicious tomatoes. Are you a first time gardener just starting out? Check out my book about backyard gardening! Do you have any gardening hacks? Help a sister out and share them with me in the comments below! I love this article. I always forget to keep my egg shells. It has become such a habit to just throw them away. If anyone grows tender plants like lilies that snails and slugs like to nibble on then you can put your crushed egg shells round to top of your plant pots. Slugs and snails don’t like rough surfaces so that egg shell should keep your plants safe.